The PSM Team have some new moves! By Peninsula Sports Medicine Group|June 16, 2015|Community, Latest News|Comments Off on The PSM Team have some new moves! Sunday the 14th of June saw Specialist Sports Physiotherapist Henry Wajswelner present to PSM’s Physiotherapists and Pilates’ Instructors. 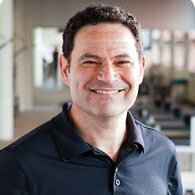 Henry has more than 30 years experience as a Sports Physiotherapist, including holding positions at the Australian Institute of Sport in Canberra and Olympic Park Sports Medical Centre. He has been on the Australian Olympic Team and attended many World Championships events with the Australian Rowing Team. We were thrilled to have him present to us on the clinical management and exercise progression of patients with chronic thoracic and lumbar spine pain. Having such a knowledgeable and Specialist Physiotherapist lecture to our team was an invaluable experience for all who attended. Watch out old backs – our Physiotherapists have a new bag of tricks for you all!